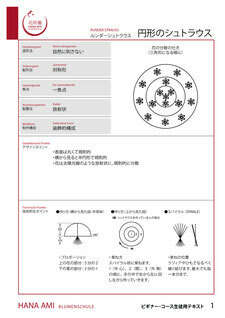 Each item comes with a student text sheet and a schema sheet. 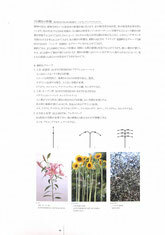 The text shows an image of the design, the point of the design, and an easy to understand technical explanation. 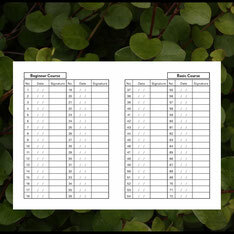 One sheet each is distributed at each lesson. 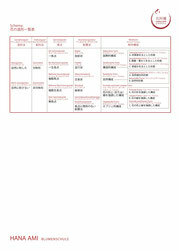 The schema sheet is given to students one piece per item to fill out and deepen their understanding. Some items need special background knowledge. 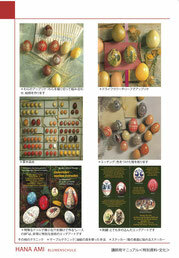 Particularly detailed cultural materials about Easter and Christmas are distributed. 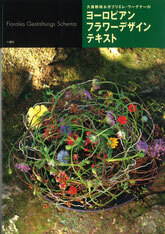 The contents of all courses are based on the book "European Flower Design Text". 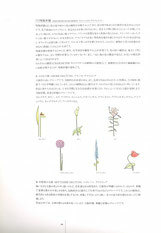 The illustrations are handdrawn by Gabriele Kubo. They are baesd on her studies at the "Staatliche Fachschule fuer Blumenkunst", Weihenstephan, Germany. 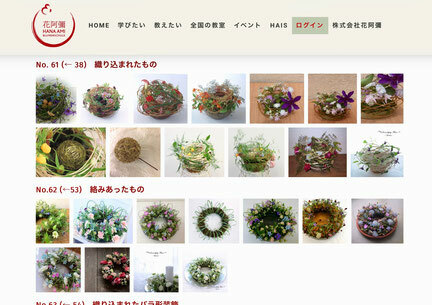 To design with the habit of flowers in mind, is a unique approach. 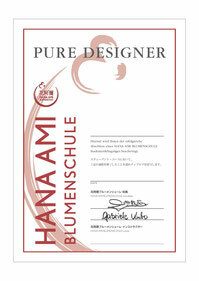 All the natural designs at the Hana Ami Blumenschule are influenced by this kind of thinking. 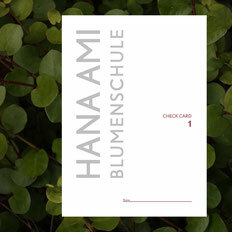 Everything, what is taught at the Blumenschule, is based on the contents of this book. It got reprinted 6 times until 2003 since the first edition in 1996. 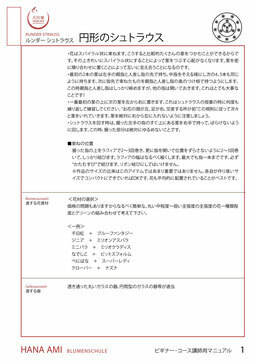 Important parts of the book are distributed as special booklets in the instructor courses. 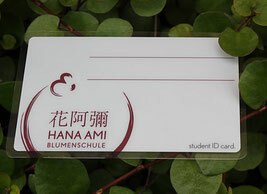 If you register a student at the headquarter, a member card with the student's name will be issued. It is sent to the instructor, so when received, it will be handed from teacher to student. There is a check card to record the status of each student's progress. The instructor will add the lesson's date and will sign each item as attended. 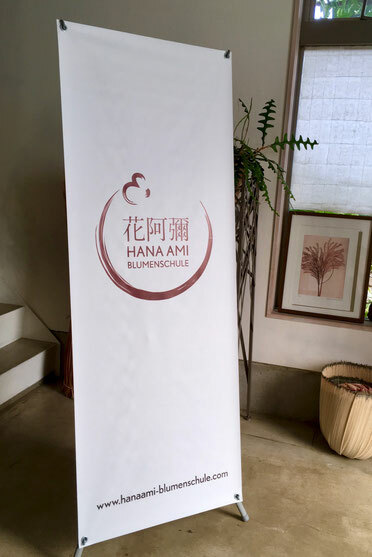 Our logo flag can be used indoors and outside. 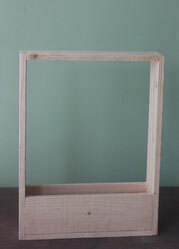 It comes with a special stand and can be used at the entrance of the classroom or anywhere for an event. 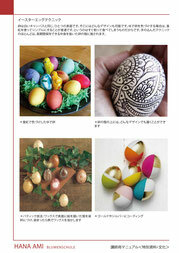 You can purchase special lesson materials from the headquarter. Our instructors have their own login page with an online gallery. 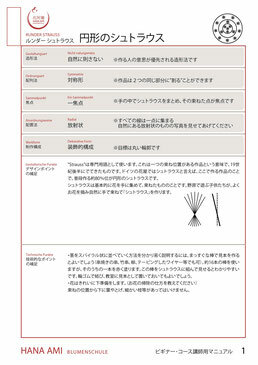 Here they can find variations of the lesson items. A reliable tool for teachers! Students who have completed the course will be issued a diploma from the headquarters. All instructors can use the school logo to recruit students.